Appetite suppressants are designed to help reduce food cravings, thereby reducing your caloric intake and helping you lose weight. They won’t completely suppress your appetite or make you unable or unwilling to eat, they just help so that you’re not eating when you’re not hungry. Many people have problems with weight loss because they eat when they’re bored, sad, upset, etc. or they have intense cravings for sugar, carbs, or fatty foods. By reducing these urges, appetite suppressants help you to consume less calories and lose weight naturally. You can get a prescription for appetite suppressants but this isn’t always an option. On the bright side, there are many appetite suppressants on the market now are made from all-natural ingredients, as there are many plants, herbs, vitamins, etc. that act as natural appetite suppressants. Unfortunately, the weight loss industry is full of deceptive marketing, unregulated products, and sometimes dangerous business practices. So how do you find an appetite suppressant that is safe, effective, and can help you reach your weight loss goals? Read on to find out! 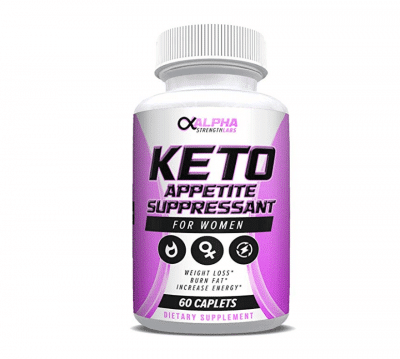 Why Take an Appetite Suppressant? One of the reasons people struggle to lose weight is because they have intense cravings for certain foods, oftentimes ones high in sugar, carbs, or fats. By reducing your cravings, appetite suppressants help you to eat less of those foods that might not be the most healthy choices. If you have a problem with stress eating or eating when you’re bored or sad, this can also make it extremely difficult to lose weight. Appetite suppressants make it so you don’t feel like you have to eat and can help with those times where you want to eat but aren’t actually hungry. Appetite suppressants work by tricking your brain into thinking you’re full. This means that you can stick to your healthy diet and eat scheduled meals without feeling the need to snack in between. Some appetite suppressants contain other ingredients that can boost your energy. This is definitely a plus as regular exercise and activity is a vital ingredient in weight loss. There are ingredients, like rhodiola, that are both appetite suppressants and energy boosters as well. Appetite suppressants are said to trick the brain into thinking you’re full, even when you’re not. This helps you to avoid stress eating, consume fewer calories, and lose weight without having to feel hungry all the time. If you go the prescription route, you’ll likely be prescribed Phentermine or Adipex-p. It’s an anti-obesity drug that is often prescribed to adults with >BMI 30. However, it isn’t all that common and is typically only taken for a couple of weeks, since phentermine can be addictive or even cause adverse side effects if taken for longer periods of time. This is due to it being an amphetamine (similar to popular ADHD drug Adderall). That’s why natural appetite suppressants are becoming the go-to solution for many dieters as they provide a safer alternative and can provide good results when used properly. When it comes to over the counter appetite suppressants there are 2 main methods of action. One type is a pill full of fibers, which expand upon digestion and fill up space within the stomach to make you feel full. The most well-known brand of this sort is Lipozene. Lipozene is full of a certain type of fiber called glucomannan. If you have ever watched Dr. Oz or have done a lot of research online about how to beat dieting woes, then you probably have seen glucomannan pop on your screen one too many times. Glucomannan is highly water soluble and has all the benefits of soluble fiber. It combines with water in the stomach and grows about 17 percent more than its original size. You feel full much faster, and calorie intake is reduced significantly. The second type of appetite suppressants are those that stimulate the adrenal gland and signal to the brain that you’re not hungry. The adrenal gland is responsible for producing hormones such as cortisol and aldosterone. These glands also release epinephrine and norepinephrine, both of which are central nervous system stimulators. These chemicals increase heart rate and blood pressure and inhibit the brain’s hunger signals to the body. This gets rid of the random food cravings that we sometimes experience. Epinephrine also increases the body’s metabolic rate causing it to burn calories faster. This method of action is more similar to prescription Phentermine, although they are healthier since they do not contain amphetamine. As with any medication or supplement, it is important to note that there can be side effects related to the Epinephrine release. Stimulating the central nervous system can result in jitters, increased anxiety, and hypertension. This may cause damage in the long run, which is why any appetite suppressants should only be taken for a few weeks at a time, with breaks in between, and only after consulting with your doctor. 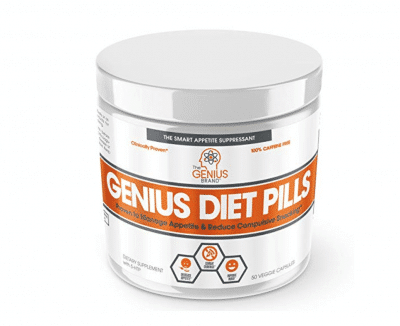 These pills are not just appetite suppressants, they also work to inhibit the absorption of fat and carbs in the body, which prevents them from being broken down and stored as fat. All ingredients used to make these pills are sourced from FDA approved suppliers and the company follows FDA Good Manufacturing Processes so you can trust that the ingredients used are safe for your body. They are designed to help you lose 1 lb for every 2 lbs you lose by diet and exercise alone. The pills are actually gel capsules. This makes them much easier to swallow than some other diet pills, especially considering they are on the larger side. I definitely noticed a decrease in my appetite and my cravings. Even if it didn’t suppress my appetite, it really discourages me from eating fatty or carb heavy foods because I don’t want to deal with my body getting rid of any excess. Helps with lowering water retention so any apparent weight from bloating is lost. 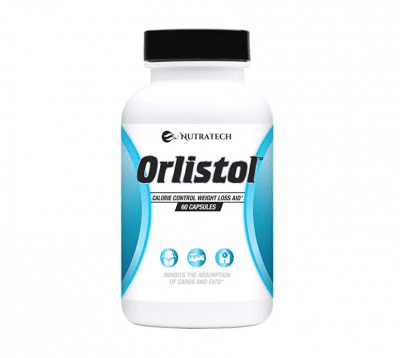 The name has lead to some confusion about whether or not it contains orlistat (the main ingredient in Alli). It does not. These gave me an upset stomach every time I ate them. I even avoided greasy, fatty foods and foods with a lot of carbs and I was still not able to avoid a stomach ache. These advertise themselves as being great for avoiding weight gain even on “cheat days” but if you do that, you’re in for an unpleasant surprise. When the pills block extra fat and carbs from being stored in the body, that means they are excreted as waste and that makes for unfun trip to the bathroom. These gel capsules are free from fillers. They are designed to help boost your immune system, speed up your metabolism, burn fat, increase muscle mass, and suppress appetite and cravings. CLA is an omega-6 fatty acid that also reduces inflammation and acts as an antioxidant. The CLA in these gelcaps is from safflower oil and the caps contain no added ingredients or fillers. They are also lab tested for purity. Great price! You can get 300 pills for less than $20. These pills contain no stimulants or caffeine so you won’t feel any jitters like you would with some diet pills. The pills are soft and easy to swallow. I definitely have been losing weight with these. It seems to be faster than just with diet and exercise alone. I also feel great! The fatty acids have been good for my hair, skin, and energy levels. The mg dosage listed on the label is wrong. The bottle says 1000 mg but each softgel only contains about 795 mg. I am not sure where the 1000 mg comes from. 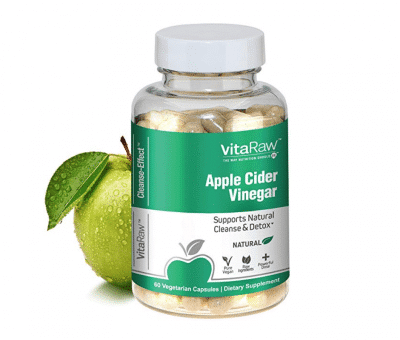 These all-natural apple cider vinegar capsules are organic, vegan, gluten-free, and GMO free. These have all the same benefits as drinking apple cider vinegar but without the strong taste and smell that some people find off-putting. They are designed to assist with weight loss, appetite suppression, and cleansing. They can also help with pH levels and blood sugar management. They also include cayenne pepper, coconut, aloe vera, and astragalus root for added health benefits. Great for reducing bloating. I noticed a difference in water retention and felt much less bloated while taking these pills. I like that these are all natural and contain few ingredients. No taste! Apple cider vinegar honestly does not taste great to me so I like that I can get all the benefits without having to actually drink it. Helped reduce cravings. I noticed I wasn’t craving sugar or fatty foods as much after taking the pills. They also help with giving you more energy without the jittery feeling caffeine has. No negative side effects. Some appetite suppressants have made me feel jittery or have given me stomach pain and digestive issues but I didn’t notice any of that with these. Good price. These are relatively inexpensive for a 60 pill bottle. Increased trips to the bathroom since it keeps you from retaining water as much. These all-natural pills are designed to reduce appetite and the need for excessive snacking. They are caffeine-free and intended for gradual, safe weight loss, not crash dieting. They contain Satiereal, a safe appetite suppressant and carb blocker. The effects of Satiereal have been tested in clinical studies and it has been found to be effective and safe for consumption. In addition to their help with weight loss, these pills also help to improve mood and decrease anxiety with the addition of 5-HTP. I like the addition of 5-HTP because this helps with mood and with sleep. A better mood and sleeping well at night are a great way to boost motivation and weight loss. Not too expensive. They aren’t the cheapest of the bunch but they aren’t going to break the bank either. I did lose some weight while taking these pills. They were definitely helpful in reducing cravings and since I was sleeping better, I had more energy to work out and be mindful of what I was eating. Because of the addition of 5-HTP, you cannot take these if you’re on any sort of SSRI or other supplements that increase levels of serotonin. You need to consult with a doctor before taking 5-HTP to avoid bad reactions like serotonin syndrome. I experienced quite a bit of nausea while taking these pills. I also felt light-headed when I first started taking them. Some people say to take them on an empty stomach but I could only take them after eating something small first. 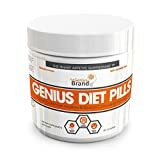 These pills are designed to help you burn fat and lose weight by putting your body into ketosis, the same way the keto diet does. They boost your metabolism and give you more energy so that you’re able to go through your day and exercise as you like. They contain green coffee, acai berry, green tea extract, and raspberry ketones. These pills also help to reduce stress and assist you in losing weight by making your body use carbohydrates as muscle fuel instead of storing them as fat. I noticed a decrease in my cravings for snacks and food outside of normal meal times. I also didn’t feel the need to eat as much as I normally do. I think this is a good add-on if you’re already doing the keto diet, since it helps reduce cravings for sugar and carbs. These pills can also be taken if you’re not on the keto diet and still have an appetite suppressant effect. Great price. $20 for a 60 day supply. I know some other keto-friendly supplements and diet pills go for way more than that so the price is good even if you’re on a budget. I felt jittery because of the caffeine in the pills. Green coffee and green tea extract might be a bit too much. The company offers two other products that have different names but all the same ingredients. I’m not sure why this is but if you buy one, you don’t need to waste your money and buy the other two. The first thing we do before testing a product is a little bit of research. We generally look at product reviews from previous customers to get a general impression of what we are dealing with. However, we always take them with a grain of salt since many of them are “sponsored” reviews. The next thing we do is look at the ingredients used and search if there are studies that can back up the manufacturer’s promises. The ingredients found in this product are the following: raspberry ketone, African mango extract, acai fruit, green tea extract, resveratrol, caffeine anhydrous, apple cider vinegar powder, kelp and grapefruit powder. Raspberry ketone’s abilities to aid in weight loss are still unclear as far as scientific research goes, but I know from previous experience that they do boost energy significantly. Acai fruit, on the other hand, has proven to help with weight loss, but the effects have been found to be very mild. The same goes for resveratrol. Green tea extract and green coffee bean extract both have good track records when it comes to weight loss as well, although I find them to be more of a stimulant than an appetite suppressant. Overall, the ingredient list is very comprehensive compared to most others on the market, although the dosage of the ingredients is generally lower than what was used in studies. Still, the product has some impressive research behind it and can cause fat loss through a variety of mechanisms. When using this product myself over the course of one month, I did notice some pretty significant effects. The most prominent was the energy boost. I find that if I take this supplement any later than 3 or 4pm I have trouble sleeping at night. And although they claim it doesn’t cause jitters, I found that I was a little jumpy during the first week or two. As far as curbing appetite, this product delivers here as well. I found the optimal dosing schedule to be one capsule before breakfast and one before lunch. When taking it this way, I typically have a high protein breakfast around 8am and by lunch time I’m still not hungry. 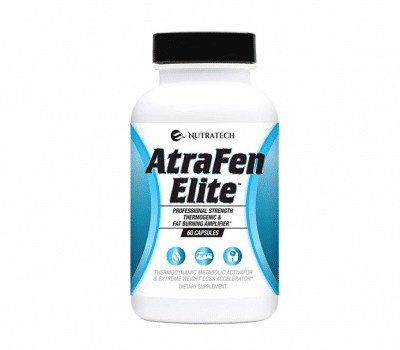 Atrafen is higher priced than some other options out there, coming in at a little over $1/day when taken twice daily. That said, I can tell that the quality of ingredients is high, and they are even registered with the FDA… something that is extremely rare in this industry. I’ll gladly pay extra to know I’m taking a quality product. And best of all, it works. If not, you’re also offered a money back guarantee. 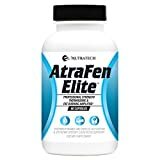 While this supplement is not a “pure” appetite suppressant and contains several stimulant fat burning ingredients as well, I can safely recommend this product as my #1 choice among appetite suppressants. 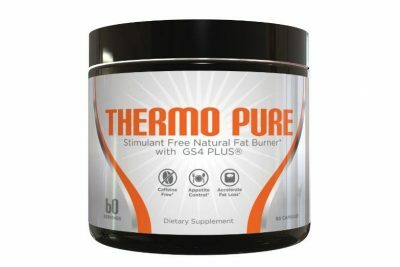 The main ingredients in Thermo Pure are the following: Garcinia Cambogia extract (standardized to 50% HCA), gynema sylvestre extract 75%, cayenne pepper extract (fruit), Forskolin and 5-HTP. On top of that, the product also contains cellulose, hypromellose and magnesium stearate. Effects promised are suppression of appetite, no artificial boost of energy and, of course, a healthy way of burning fat due to improving the metabolism. 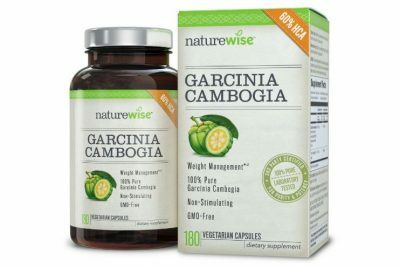 The first thing that draws the attention is that the ingredient found in the highest amount here is Garcinia Cambogia. This is a commonly used ingredient in appetite suppressants, although its effects are not fully proven in clinical studies. The next ingredient on the list is gynema sylvestre; although there is not much research done on this plant as of yet, there have been some promising early conclusions drawn when it comes to weight loss properties and the ability to control sugar cravings. Forskolin is a natural chemical found in a plant. Although there is research that claims it is effective for asthma and heart conditions, there is not enough evidence when it comes to weight loss properties. 5-HTP is a supplement commonly used to stimulate serotonin production in the brain. Serotonin is most commonly linked to mood, but it also plays a role in appetite. First, I like that this is a non-stimulant product. Many weight loss products are loaded with caffeine that can leave you feeling jittery and uncomfortable during the day and sleepless at night. Second, I do like the mix of ingredients, and I do find that it provides a subtle but noticeable decrease in food cravings. It doesn’t seem to have major impact on energy levels, and it’s hard to say if it has any significant impact on metabolism. I used this product for one month and did find that I lost weight, although its not clear if that came from increased fat burning or reduced caloric intake. Some may also experience a slightly improved mood due to the magnesium and 5-HTP, which is a nice touch. Each bottle only contains 30 servings coming in around $20 per bottle. This is fewer servings than some other products in the list, but the quality also seems to be higher. 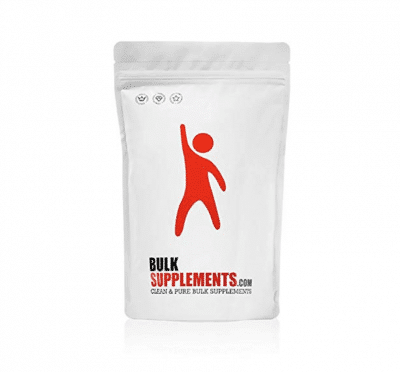 If you’re looking for a non-stimulant weight loss supplement that you can stack with other fat burners, this is a solid option. Before ordering these pills for a review, we did a little bit of research regarding the ingredients used. The product has hydroxy citric acid (HCA) as the main substance used for weight loss and suppressing appetite. In simple words, this is nothing but Garcinia extract. HCA is supposed to promote weight loss in two ways. First of all, it increases serotonin levels in your body. This hormone plays a critical part in ensuring the well-being and happiness of an individual. When its levels go abnormally low, depression and anxiety appear, leading numerous people to eat as a result of going through the considerable emotional troubles that appear. By increasing its levels, these situations become less likely to occur. Another way that HCA is said to help lose weight is by blocking an enzyme called citrate lyase that is needed for the body to make fat from carbohydrates. This also lowers the levels of bad cholesterol. As for my own experience, I have to say I did not notice a huge difference when taking the standard dosage of 1 capsule. I do appreciate this it is a non-stimulant product and doesn’t make me feel jittery all day, but the effects weren’t as dramatic as the manufacturer claims. When bumping up to the maximum dosage of 3 capsule per day is when I started to notice more significant effects. I find this product provide maximum results when taken 3 times per day, once before each meal. The effects don’t last all that long, but they do seem to curb appetite long enough to prevent you from over eating during your 3 main meals of the day. The price is quite low and you receive a lot of pills for the money. Even at the maximum dosage of 3 capsules per day, one bottle will last you 2 months. There are also no side effects found in studies. Unfortunately, studies regarding the effectiveness of HCA in practice have been inconclusive so far. Seeing how you are taking a product that is not confirmed scientifically to work, we advise you to be careful in your expectations. Hoodia Gordonii is one of those plants that many people swear by, yet remains relatively unproven in scientific trials. Coming from South Africa, it is said to have helped locals control their weights for a long time now. It has only crossed oceans in more recent times, reaching a point where most health food shops, both physical and online, now carry it. Even with the relatively small amount of medical evidence behind the product, it is still worth exploring. Research published in a 2004 issue of Brain Research claimed that Hoodia contains a molecule called P57 that acts on the hypothalamus in order to decrease appetite – a fact that was concluded based on animal tests. There are several claims of successful tests done on people, yet none of them that can be considered to come from reputable sources. 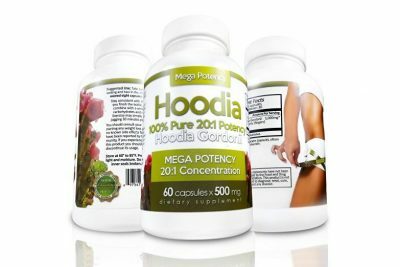 Manufacturers of hoodia supplements are often among those stating that the plant has been found effective on people, which makes the studies difficult to take into consideration by the scientific world. In my case, I must say I did feel a recognizable decrease in my appetite. It is difficult to measure just how much, but I can confidently say I was less hungry throughout the day. The manufacturer claims that the product acts gradually and the effects increase over time. I used this product over the duration of one month and I can’t say for sure that this claim is true. My results were fairly steady, but noticeable. Seeing how it does not directly burn fat, the user is encouraged to exercise as much as possible and adopt a healthier lifestyle while taking the product. This is obviously a contributing factor in the weight loss for some, one that may be mistakenly attributed to the pills. For me, my routine didn’t change much and I did find myself eating less. At the end of the day, the efficacy of this product is difficult to judge. I do believe it worked to suppress my appetite, but it is difficult to say how much without controlling several other variables. Still, I saw no negative side effects and can safely recommend this product, especially at this price point. 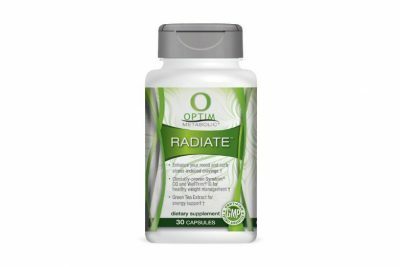 Optim Metabolic Radiate formula mainly aims to suppress your appetite, which, in return, will help you control your eating habits and lose weight in the process. With that being said, there are some ingredients that are supposed to help you lose weight directly. The three main ingredients of this product are Cissus quadrangularis (a plant from the grape family) extract, African mango, and green tea leaf extract. Other things found here are gelatin, stearic acid, magnesium stearate and silica. Studies done on Cissus quadrangularis’ effects on weight loss do support the claims when it comes to the effectiveness of the extract. However, the amount found in this product (300 mg) is pretty low for the task compared to what was found to work in tests, making its effect as a weight loss tool questionable. You can take a higher dose to increase the amount of CQ you are getting, but taking a high dose of any weight loss supplement can have negative effects on your body. Consulting a doctor before taking any of these supplements is always the best practice. Green tea is an ingredient that helps with both weight loss and improvement in energy levels. However, the amount in this product is also relatively small so it’s hard to judge its effectiveness. As for my own results… I took the product for 3 weeks, never going above the recommended dosage. I can say I noticed a decrease in sugar cravings and a slight boost in energy. The effects weren’t strong enough to cause any jitteriness as some other products do, which I appreciate, but the appetite suppressant effects also weren’t super noticeable. Still, I do believe that this is a strong formula that could be a useful for some at the right dose. Some appetite suppressants contain stimulants such as caffeine. This is in hopes of boosting your energy and possibly to help increase your metabolism. If you are a person who gets jittery from caffeine or who has other negative reactions to caffeine or other stimulants, these kind of appetite suppressants pills are not for you. There is a huge variety of ingredients in appetite suppressants and that is just the actual appetite suppressing agents, not any additional ingredients for added effects. 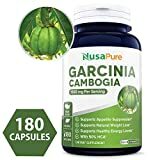 Examples of things you will find in appetite suppressant pills include garcinia cambogia, saffron, rhodiola, hoodia, CLA (a good fat found in safflower oil), guarana, bitter orange, ephedrine, glucomannan, green coffee, acacia fiber, guar gum, forskolin, and many more! Certain ones, like ephedrine, have gotten a bad reputation as they cause many negative side effects. Just because something is all-natural does not mean that it is necessarily safe for you! Many herbs can have negative interactions with certain medications and even if you’re not on anything, you may be allergic to something or just not react well to it. It is important to carefully read ingredient labels and research the included ingredients before you take any appetite suppressants. There are prescription diet pills and appetite suppressants available, such as orlistat and bupropion-naltrexone but obviously you will need to see a doctor for these and it isn’t as simple as walking in and asking for a prescription. Medications for other purposes, such as certain antidepressants, can also have appetite suppression as a side effect. If you don’t have access to prescription appetite suppressants, there are many over-the-counter ones that are often made with combinations of different herbs, vitamins, and minerals. As mentioned, many appetite suppressant pills contain more than just the appetite suppressing ingredients. They can contain ingredients like cayenne pepper or green tea to help boost metabolism. They may also contain caffeine or rhodiola to help with energy levels. Ingredients like cacao help with blood flow. Anti-oxidants such as acai berry, amla, and resveratrol are great for your skin and hair and as anti-aging agents. Apple cider vinegar helps with digestion, as to probiotics that may be included. There are also ingredients that help your body to expel excess fat and carbs instead of storing them as fat which is a great way to boost weight loss. Appetite suppressants may even contain things such as 5-HTP, which helps your body to produce serotonin and is great for improving your mood and helping you sleep. There are a lot of different added effects you can get from appetite suppressant pills, which pill you take will also depend on what other effects you’re looking for. Again, be sure to carefully research the ingredients in any pills you take. Because there are so many different appetite suppressing agents as well as a huge variety of added ingredients to appetite suppressant pills, you can conclude that there is also a wide range of side effects. One of the main side effects that comes with any appetite suppressant is a feeling of lightheadedness or dizziness. To avoid this, be sure that you are eating a healthy amount of food and if that does not help, take your appetite suppressant after you’ve eaten something small so that your stomach is not empty. Other side effects include digestive problems such as stomach ache, diarrhea, nausea, and constipation, headaches, jitters, trouble sleeping, and nervousness or anxiety. In addition to being healthy for your heart, almonds are an all natural way to suppress our appetite. It just so happens that almonds are rich in antioxidants, vitamin E, and magnesium, and according to a study that was presented at The 2006 Obesity Society Annual Scientific Meeting, just a handful of almonds were proven to increase the feeling of being full when it came to weight management. Coffee is a great appetite suppressant so long as you don’t overdo it with all of the extra additives like sugar and cream. Coffee, as we all know, has caffeine. Caffeine in itself can boost the metabolism and suppress appetite, in moderate amounts of course. Coffee beans also have healthy antioxidants. According to research published in the Journal of Physiology & Behavior, just half a teaspoon of cayenne pepper can boost metabolism and cause the body to burn an extra 10 calories on its own. Not to mention, for those who don’t regularly eat spicy meals, adding cayenne pepper cuts an average of 60 calories from your meal (because it makes you feel full quicker). Apples (and many other fruits) have what’s called “soluble fiber” and pectin which helps you feel full. Apples, in particular, can also boost your energy levels and regulate glucose. Eggs are also said to be a great appetite suppressant. Studies have shown that eating an egg or two for breakfast will make you feel more full over 24 hours than if you eat a bagel or toast containing the same number of calories. In this particular study, those who ate eggs ingested an average of 330 fewer calories over the course of a day than the bagel group. Water, believe it or not, is huge in managing hunger. Leading weight loss experts, personal trainers, and even doctors agree that often times when we think we are hungry, we are actually not hungry at all, we are just thirsty. The average American does not drink enough water, and sometimes when our body is begging for water and dying of thirst, our stomach will growl and make us feel hungry (since foods contain water as well). Drinking adequate water will certainly suppress the appetite and make you feel fuller longer. It is recommended that you drink, at the least, 8 glasses, or 62 ounces of water a day. Sweet potatoes are rich in starches that actually resists digestive enzymes, which helps the body feel fuller for longer when consumed. You do need to be careful about over eating sweet potatoes since they are packed with carbohydrates, but believe it or not, they are about as healthy as you can get for a carb. When it comes to all natural supplements there are also some strange options you may have never thought of. Pine nuts may be one. Pine nuts contain pinolenic acid, a naturally occurring polyunsaturated fat that stimulates two powerful hunger suppressing hormones in the body. Green Tea extract works by promoting thermogenesis, which increases the metabolic rate, inhibiting fat digestion, and boosting your energy. It also increases fat oxidation which helps the body use fat as an energy source. While avocados are high in calories and fat, they are very healthy for you and can keep you feeling full for hours afterward. This is due to an abundance of healthy fats and fiber. In fact, one avocado contains around 21g of healthy fats and a whopping 10g of natural fiber. The bottom line is that if you want to lose weight, it is said you must eat less. But it is very difficult to make sure that our bodies and new diet regimen have enough fiber. If you have ever tried a new diet and noticed that you have a hard time sticking to it due to hunger, the reason you feel so hungry all of the time is likely the lack of fiber due to eating less food. Adding a glucomannan supplement to your regimen will surely help you feel fuller longer, and allow you the opportunity to receive the adequate fiber that is desperately needed to stick to the new diet. My favorite appetite suppressant of the bunch is the Organic Apple Cider Vinegar Capsules. Many of the other pills had great benefits but these were the best at the actual appetite suppression part. Apple cider vinegar is definitely something with a lot of health benefits, such as helping to lower blood sugar, assisting in digestion, increasing good cholesterol, detoxifying the liver, protecting you from bacteria like e. coli, and keeping your hair and skin looking great with its antioxidant properties. This is all in addition to its appetite suppressant abilities, of course. The inclusion of coconut also helps to reduce appetite and cayenne helps to boost your metabolism so these really are great for weight loss. I also noticed less stomach problems and less bloating while taking these and that I was getting sick less often. Overall, I just feel healthier and more clear-headed after taking the ACV capsules. I would recommend these to anyone, honestly. Because they are vegan, gluten free, GMO free, and organic, they fit in with any type of diet. They are also caffeine-free and I didn’t experience any jitters at all so these are a safe way of suppressing appetite and getting a little help with weight loss. Some diet pills can cause that jittery feeling and even lightheadedness and nausea but these really have no negative side effects. If you want an all-natural, inexpensive appetite suppressant without all the side effects diet pills can have then I would definitely try these out. Even if they don’t end up being the appetite suppressants for you, they have a number of other benefits that make them worth it.